Domenico de Ceglia received his "Laurea" and PhD degrees in Electronic Engineering from Politecnico di Bari in 2003 and 2007, respectively. As a graduate student, he was a visiting scholar at the US Army Aviation and Missile Research, Development, and Engineering Center (AMRDEC) at Redstone Arsenal, AL (USA). After earning his PhD degree, he worked in the private sector as a consultant at Altran Italia S.p.A (Milan, Italy). From 2009 to 2012 he was a research scientist at Aegis Technologies Inc. in Huntsville (AL) – USA, working on new concepts for photovoltaic devices, plasmonic beam steering, hydrogen sensors, nonlinear optical effects in plasmonic and nanophotonic structures. Laboratory of US Army AMRDEC, Redstone Arsenal (AL) – USA. In this role, he investigated light-matter interactions at the nanoscale, plasmonic platforms for SERS chemical and biosensors, tunable and nonlinear metamaterial devices, quantum tunnelling in sub-nanometric plasmonic structures, nanoscale nonlinear optical devices, photonic devices based on graphene and other 2D materials. 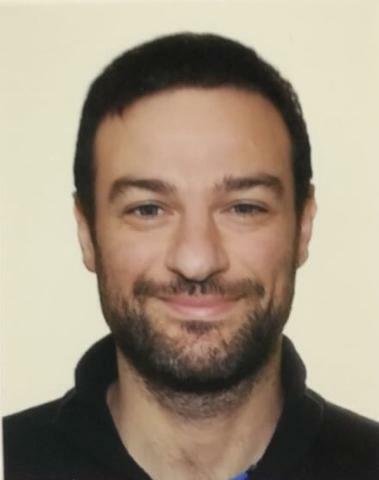 In December 2017, Domenico became Associate Professor of "Electromagnetic Fields" at the Department of Information Engineering of University of Padova, where he currently teaches “Biophotonics”, "Nanophotonics" and “Propagazione guidata e dispositivi”. The research interests of Domenico de Ceglia are in the area of optics and photonics, with emphasis on: nanophotonic devices for sensing, detection, imaging, telecommunications, and energy harvesting, metamaterials and metasurfaces for beam forming and steering at both RF and optical frequencies, photonics of 2D materials, nonlinear optics for biophotonic applications, nano- and quantum plasmonics, epsilon-near zero materials. Domenico has authored and co-authored 150 papers in peer-reviewed journals and proceedings of international conferences. He is co-author of 3 book chapters on metamaterials, plasmonics and effective medium theories, and he is the inventor of a United States patent entitled 'Photonic band gap solar cell'.